At long last, this may be the year Washington puts the brakes on Israeli settlement expansion into Palestinian lands. However, the operative word here is “appears.” In foreign affairs what you see—a show carefully scripted for political purposes—often bears little relation to what you actually get. 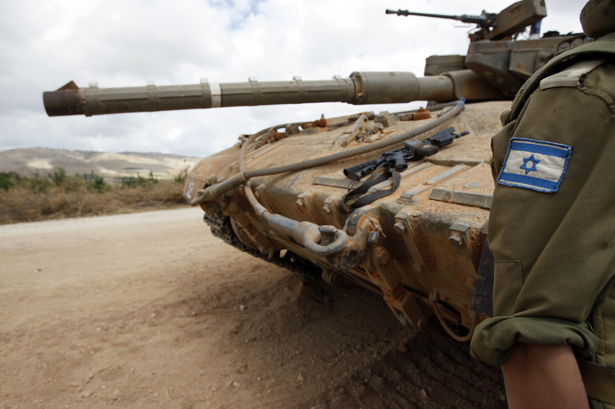 The latest well-masked US intervention came in the brief November war between Israel and Gaza. It began when Israel assassinated a top Hamas leader deeply involved in secret truce talks between the supposedly non-communicating foes. Washington is also deeply involved in the tensions between Israel and the Palestinian Authority (PA) in the West Bank. When PA president Mahmoud Abbas asked the UN General Assembly to accord Palestine observer status, Israel publicly denounced any such UN resolution. The Obama administration wanted to offer a far softer resolution of its own with Israeli approval. The Israelis gave in and sent a top official to Washington to negotiate the language. In the end, the United States had no success; the stronger resolution passed overwhelmingly. Israel promptly retaliated by announcing that it would build 3,000 additional housing units in various settlements on the West Bank. To make the response stronger, the Israeli government indicated that it would also make “preliminary zoning and planning preparations” for new Israeli settlements in the most contentious area of the West Bank, known as E1. Settlements there would virtually bisect the West Bank and complete a Jewish encirclement of Jerusalem, ending any hope for a two-state solution. There is a history of the Israeli government publicly announcing settlement expansions for symbolic political effect, and then, under US pressure, pursuing only limited construction or none at all. Some observers suspect Netanyahu is now playing the same game. AsThe New York Times reported, “For years, American and European officials have told the Israelis that E1 is a red line. The leaked, somewhat vague, announcement…is a potent threat that may well, in the end, not be carried out because the Israeli government worries about its consequences.” Prominent Israeli columnist Shimon Shiffer was more certain. “Netanyahu,” he wrote, “does not plan to change the policies of his predecessors, who assured the Americans Israel would not build even one house in problematic areas” like E1. As Beinart suggests, international isolation is what worries Israelis most. A cut-off of US military aid would be troubling indeed but in itself hardly fatal, since Israel already has the strongest military in the Middle East and a sizeable military-industrial-high-tech complex of its own. What Israel needs, above all, from the United States is diplomatic support to protect it from international rejection, economic boycotts and a diplomatic tsunami that could turn Israel into a pariah state. Political analysts have long assumed that any Israeli leader who loses the protection of the United States would pay the price at the polls. The rules of Israel’s political game, however, may also be changing. And that’s a key to understanding why 2013 could be the year of confrontation between the leaderships of the two countries. Netanyahu has allied his Likud party with the strongest party to its right, Yisrael Beitenu. To seal his victory in the upcoming election on January 22, he’s put his political fate in the hands (or talons) of his country’s hawks. If he wins (which everyone assumes he will), he’ll have to satisfy those hawks—and they don’t care about shrewd secret bargaining or holding on to allies. What they want, above all, are public displays of unilateral strength made with much fanfare, exactly like the recent settlement-expansion announcement and the accompanying threat to turn E1 into an Israeli suburb. Many observers have suggested that the primary audience was Netanyahu’s new, ever-more-right-wing partners. Plenty of them still don’t trust him, especially after the cease-fire in Gaza under pressure from Washington. Israeli political life has always been haunted by a fear of weakness and a conviction that Jews are condemned to vulnerability in a world full of anti-Semites eager to destroy them. The hawks’ worldview is built upon this myth of insecurity. It demands instant retaliation so that Jews can show the world—but more importantly themselves—that they are strong enough to resist every real or (more often) imagined threat. Obama owes the Israeli prime minister nothing after the recent US election season in which Netanyahu practically campaigned for Mitt Romney and publicly demanded that the United States threaten an attack on Iran—a demand that the administration publicly rebuffed. The president might finally be fed up, and so in a mood to ratchet up private pressure on the Israelis. He has good reason. If he can secure a definitive halt to settlement expansion, he can bring the Palestinians back to the table with a promise to press Israel to negotiate seriously for a two-state solution. In a chaotic region where the United States seems to be losing ground weekly, Washington could score sizeable foreign policy points, especially in improving relations with regional powers Turkey and Egypt. And faced with Netanyahu’s new post-election government, Obama would find himself with a new diplomatic weapon in his arsenal. Suppose—an administration aide might suggest to an Israeli counterpart—the United States publicly reveals that it’s allowing, perhaps even pushing, other nations to isolate Israel. Some Israeli hawks would undoubtedly welcome the chance to proclaim Obama as Israel’s greatest enemy and demand that Netanyahu resist all pressure. But Israeli centrists—still a large part of the electorate—would be dismayed, or worse, at the thought of losing Washington as their last bulwark against international rejection. The fear that Israel could become a pariah state, blacklisted, embargoed and without its lone invaluable ally would be a powerful incentive. They’d insist that Netanyahu show flexibility to avoid that fate. There’s a common misconception that the administration worries most about “the Jews.” The latest polls, however, show 73 percent of US Jews supporting Obama’s policies on the Israeli-Palestinian conflict. Nearly as many want him to propose a specific plan for a two-state solution, even if it means publicly disagreeing with Israel. Nor is there too much reason to worry about Jewish money, since most Jewish contributors to the Democrats are liberals who are pro-Israel but also pro-peace. Although Israel agreed to a cease-fire, the trauma in Gaza remains. Check out Sharif Abdel Kouddous’s dispatches from Palestine.